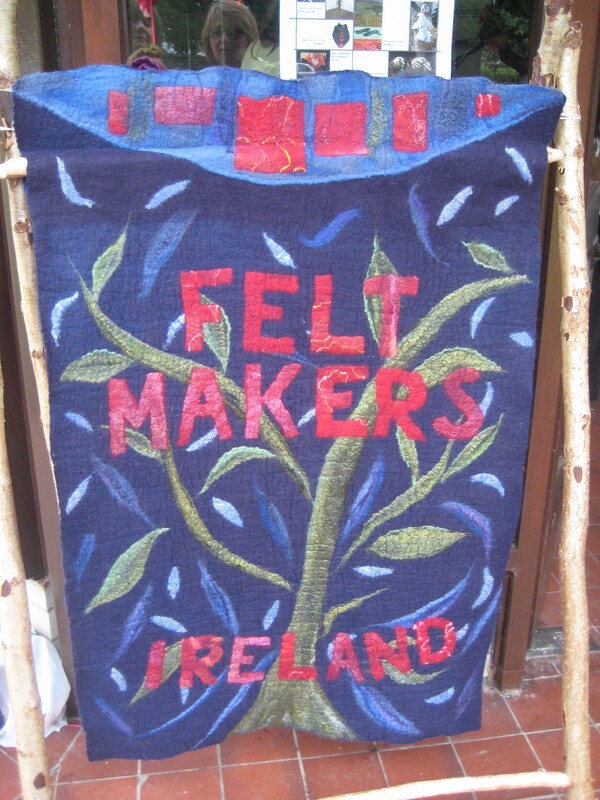 During a wonderful week-end in Connemara a group from Feltmakers Ireland were joined by many friends, including basket maker Kathleen McCormack and green wood chair maker Alsion Ospina. The week-end was fruitful in many ways but one of the results was this fantastic felted sign which we can proudly bring along to all our events. The sign was designed by Elizabeth Bonner who was the very generous host for the week-end.